Learning a language really does have a positive impact our children's learning. It increases their cultural awareness and understanding, improves their speaking and listening skills and reinforces grammatical terminology which, as we know, features heavily in the new English curriculum. We know learning a new language is fun! We like to approach our Foreign Language curriculum via games and activities as these lend themselves naturally to language learning. Repetition and practice are essential in language learning, so games requiring lots of repetition, such as Lotto, Simon Says and Chinese Whispers are all ideal. Having a positive attitude has been shown to be a crucial factor in determining children’s success in foreign language learning. By showing children that language learning can be fun, pupils will approach secondary school language lessons with greater enthusiasm and anticipation. Children are very receptive to learning a new language. They are willing and able to mimic pronunciation without the inhibitions and self-consciousness of older students. They enjoy playing with the language and pick it up very quickly. Their sensitive ears help them pick up on and duplicate tricky sounds that adults, and even adolescents, often stumble over. Children gain a great sense of accomplishment from learning to say something in a foreign language – it’s like learning to crack a code! Language learning also provides frequent opportunities to perform before an audience. This nurtures children’s self-esteem and self-confidence and develops strong interpersonal skills. International studies have shown repeatedly that foreign language learning increases critical thinking skills, creativity, and flexibility of mind in young children. Pupils who learn a foreign language do better on both verbal and maths tests than those that don’t. Learning a foreign language actually increases the density of ‘grey matter’ in the brain and the number of synapses that interconnect parts of the brain. We know it’s great when we go on holiday! The whole purpose of learning a foreign language becomes obvious when you have a chance to use it. It is so satisfying to be able to go into a baker’s shop in France, ask for a croissant, and actually be understood. But, it’s not always necessary to go abroad to have real experiences of communicating in a foreign language. 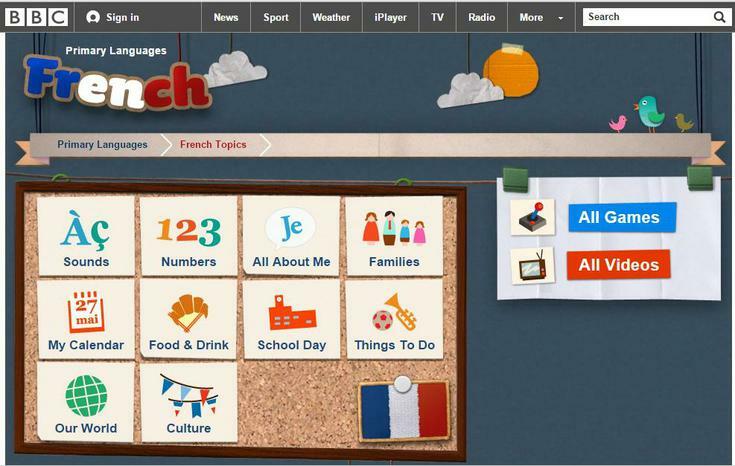 Click below to have a go at some of the French games that we love!